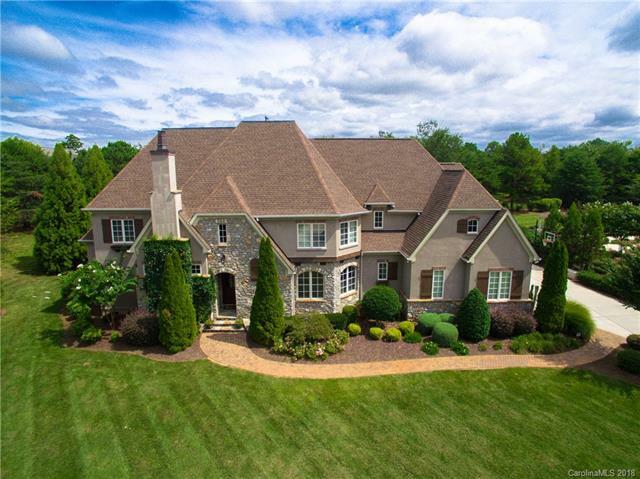 A Beautiful French Country estate w a phenomenal smart plan on a meticulously landscaped lot w a private backyard oasis & deeded slip. Located in The Point at Trump National, this home features high quality finishes & wonderful architectural details thru-out. The grand Kitchen makes a classy impression w marble countertops, exquisite lighting, custom cabinets, a stunning Brazilian Walnut island, ceiling accent timbers a wet bar & Wine Cellar. The luxurious Master Ste has a coffered ceiling, a refreshment center, direct access to the terrace & fireplace. The Master Bath has an elegant dbl vanity w specialty cabinets, a Jacuzzi tub, super-sized shower & customized closet. The Executive Office has vaulted ceilings w timber accents, a stone fireplace & built-ins. The Family Rm seamlessly connects to the great outdoors leading to a sweeping veranda, Kitchen, stone fireplace, a saltwater pool, heated, colored lights, PV3 Cleaner & waterfall spa, fenced w irrigation. Game Rm, Media Rm & Bar.